1. 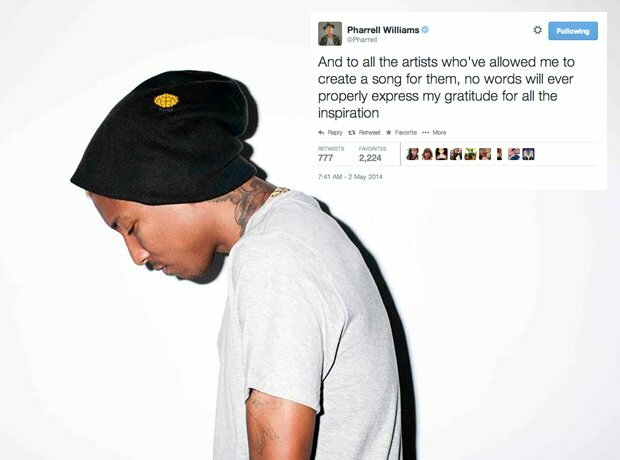 Pharrell was feeling honoured after recieving an 'Innovator' award at the iHeartRadio Awards. 2. Ariana dropped hints on what you should be when you grow up. 3. Kid Ink was wondering is his fans were main chicks or side chicks. 4. We think you just did DJ Fresh? 6. We don't know what emoticons have ever done to Le Youth. 8. Angel Haze got deep.